The PCL+FIGG Team will conduct the next on-site “trail talk” for the Public on Saturday, June 14, 2014. 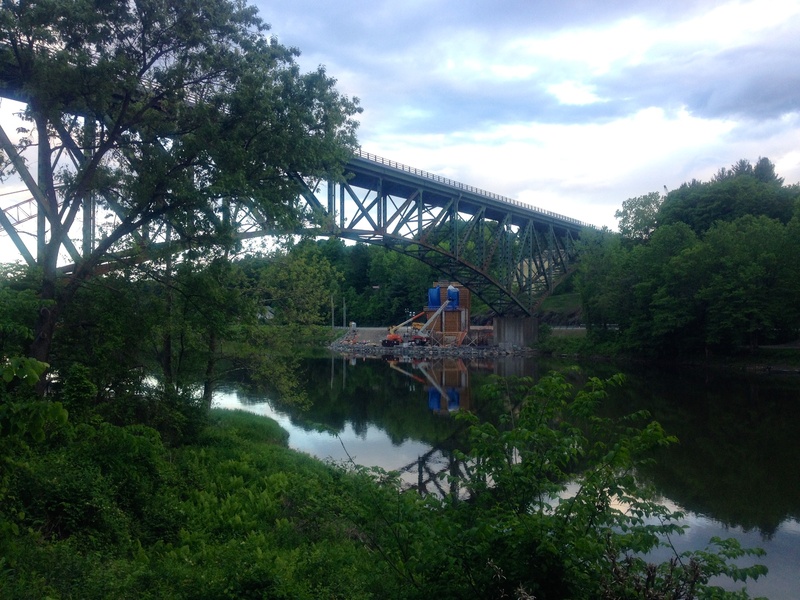 These trail talks will discuss the status of the I-91 Brattleboro Bridge Project and allow the public to ask questions. The talks will originate at the West River Trail near the marina. The trail talk will be led by Caleb Linn, Project Manager for PCL (lead contractor), and Garrett Hoffman, Design Manager for FIGG (bridge designer). Interested participants should meet the PCL+FIGG Team at the West River Trail trailhead on Saturday, June 14, 2014, at 8 a.m. and the talk will begin at 8:15 a.m. Participants will walk the trail to the I-91 bridge site, so please wear appropriate clothing and footwear.